Hickman would de well if editorial prevented him from using Doom or Reed. Lol. I can definitely see Ewing on Panther. I'm with all of the above...even the laughter produced at keeping Doom or Reed out of Hickman's grasp if he's writing T'Challa, because I too suspect that Hickman would job T'Challa to either or both. But for real, though. R to the H had it right: T'Challa would have killed Doom, and everyone else who seriously threatened Wakanda...much less the world. Remember, protecting the world HAS ALSO BEEN WAKANDA'S SECRET MANDATE; it's just that the rest of the world didn't know this fact, and Wakanda saw no reason to let them in on it. But for real, though. R to the H had it right: T'Challa would have killed Doom, and everyone else who seriously threatened Wakanda...much less the world. Remember, protecting the world HAS ALSO BEEN WAKANDA'S SECRET MANDATE; it's just that the rest of the world didn't know this fact, and Wakanda saw no reason to let them in on it until the arrival of Thanos. On that note and many others? I think that Hickman got Wakanda and T'Challa...but more importantly the rest of the world... exactly right. The White Powers That Be would IMMEDIATELY sell out Wakanda to Thanos in order to preserve themselves from extinction. And the entire supercommunity...capes and criminals...would rally to fight Thanos and The Cull Obsidian with everything they have, as all of their interests inextricably require that Earth exists. 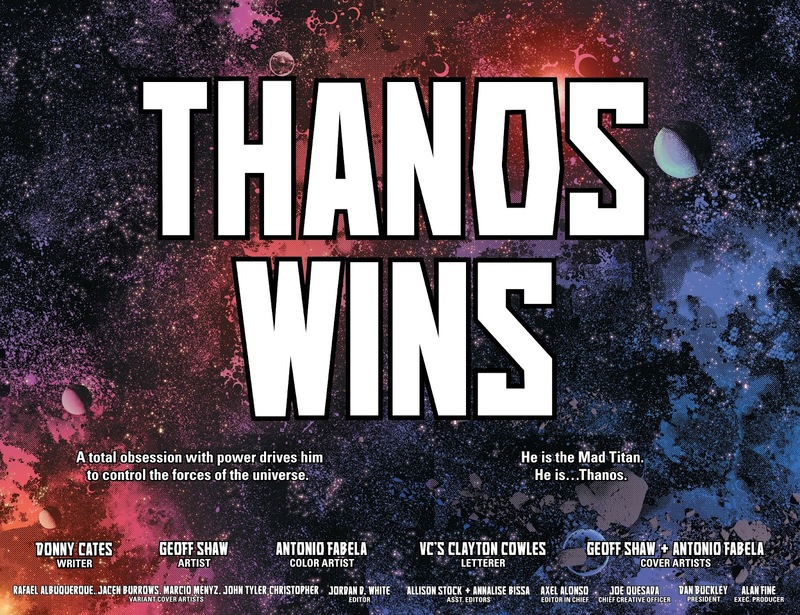 What I think would have happened...and been very interesting to see play out...is that name ultracriminal leaders like DOOM, MAGNETO, BARON MORDO, EMMA FROST, MAYBE ULTRON-[ WHATEVER VERSION IS THE LATEST AND DEADLIEST ], etc etc would rally and unify the entire criminal supercommunity in order to battle Thanos. Hydra. AIM. The Hand. All supercriminal Mutants. Yadda yadda. Coming after Thanos with the single intention of totally exterminating him, and taking all of his tech, power, etc. Letting the supercapes take as many hits from Thanos as possible, while conserving their own supercriminal forces in order to strike at Thanos with maximum force, and to advance their nefarious goal of being the dominant super force in the world. The supercriminals could very well actually take over the Earth and much of what is left of Existence, if written properly. They could have made a deal with one or more of The Ultimate Ultimates...the incarnations of The 8 Realities...and in return for preserving that Reality from extinction? Said Reality would allow supercriminal ascendancy in that Reality. I'm looking at you, The First Reality which took [ maybe The Eighth? ] Eternity prisoner under Al Ewing's pen. This is where I would have started. Having the Marvel heroes battle from every corner against the vastly superior power and dominance of the supercriminals. A supercriminal community which is suddenly without Doom, as Doom...having come to face his instrinsic failures which led him to fail even though he achieved all that he could possibly imagine as God Doom...has had the change of heart that sent him along the path of heroism [ at first ]. This story? Would reintroduce and make very relevant long absent heroes, heroes previously "dead", heroes that Marvel didn't quite know what to do with, etc. The OG Guardians of the Galaxy. Adam Warlock. The Sentry. Blue Marvel. Rom The Space Knight. Mar-Vell. Star Fox aka Eros son of Mentor, brother of...Thanos. Doctor Voodoo. Blade. Etc etc etc. Would all have much more prominent, much more MU interactive, much more intrinsically understood roles in the maxiseries called something like...but better than...THE SUPER CRIMINAL UNIVERSE. The SCU. 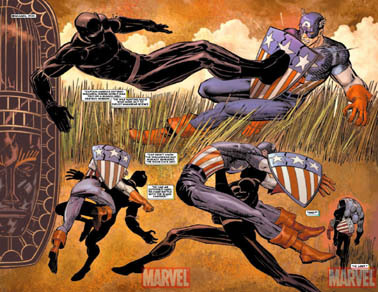 The heroes turn the tables on the bad guys, with T'Challa and Wakanda [ we're talking UFALME YA NYOTA Wakanda, KINGDOM OF THE STARS Wakanda as well as 616 Wakanda ] playing absolutely central and pivotal roles. Moondragon and Mentor return. Winter Soldier The Watcher and Nick Fury Sr. return. Captain Marvel, America Chavez and Photon now have very clear roles. Lunella and ReRe have very clear roles. Let's emphasize the Doctor of Biology sub-Pym genius level of Mockingbird, and underscore her very clear role. Elektra would be all over this, revealing at the appropriate time that she and T'Challa had been in contact the whole time that Elektra was a prominent member and enforcer for the criminals of The SCU. Whoever your favorite obscure hero or heroine is? Is back. Bigger badder and bolder than ever, playing a visible and immediately easily grasped role in The SCU. Think I'm kidding? Nope. Even obscure characters like Squirrel Girl and still largely underappreciated and undervalued characters like Falcon, Moon Knight, Triathlon, Black Cat, etc. would be invaluable for their stealth, their less than creatively utilized skills and power sets, and in the abilities of some of them to harness their animal friends as spy networks or obscure but helpful builders, message carriers, etc. The entire A-Force has very clear roles, and is an integral part of the MU as a whole. At the end of The SCU maxiseries? T'Challa does something fly like he did at the end of Battleworld, and personally reignites...but refuses to personally create and guide, eschewing the God Doom error of Doom...the forces leading to the end of The SCU. Then we can officially soft reboot the MU as Marvel did. Would that have been cool? Or nah? You've got my attention. Only a special type of reader knows who and what Rom is about. 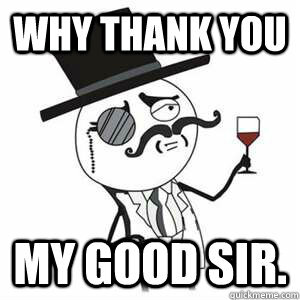 thank you very, very very much, sir! I really think that there are terrific ideas and terrific ways to address and present and utilize our underused resources in comics. I think I would do a good job with the right comic property. I think MANY of us would...but we're purposely shunted off, hated on, exploited, etc. I thought it would be more BP centric, but this has been a pleasant suprise. #3 starts slow for villain setup, but gets good by the second half. I confess that I had some worries that T'Challa might get T'Chumped in this series, but not anywhere near the dread i had before the movie BLACK PANTHER dropped. I can't believe I'm saying this, but I think that the 616 may actually be tilting toward presenting the standard for T'Challa as a very formidable person who's NOT to be jobbed...unless it's to Doom, or Reed, or someone. The latter part? Is why I'm not really sold on Marvel's current view on BP. Until T'Challa merks Doom and others like DOOM in the 616, and does it more than once? I'm not onboard. When you have an IP that is worth it's weight in Hollywood gold, execs start to look at you differently. lol. Alluvasudden, Black Panther is the shiznit! That fact finally dawned on them. I, too, wait, for his major solo achievement against the original big bads. Until Redjack is running the Marvel comics Panther-verse, yall keep me posted. 2nd & charles keeps calling me about my Panther books. I keep tellin' them to stop pulliing them. lol. If i wasn't so broke, i'd go get that Panther vs. Deadpool. Good issue today. More dialogue than action, but definitely fun. Concludes today. Didn't disappoint. I'd put it up for a mini-series of the year nomination. Consign! Most pleasant BP comics surprise since Narcisse and "Rise of the Black Panther!"